Mahnomen High School is located on an Indian Reservation in Northern Minnesota. 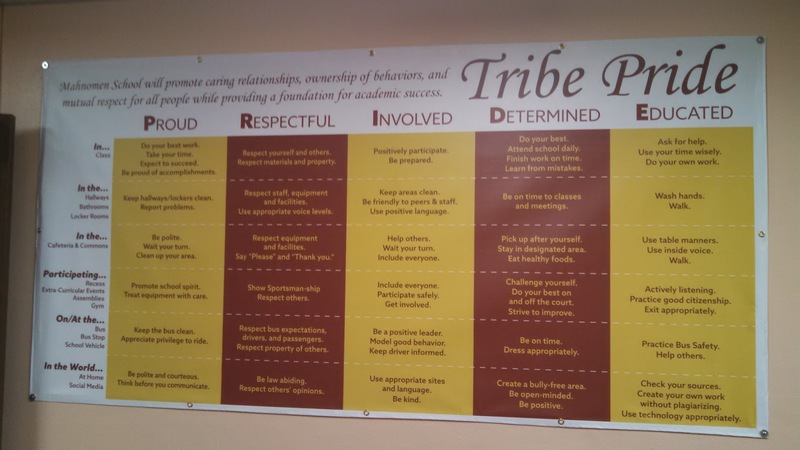 They are the "Mahnomen Indians" and their school motto is "Tribe Pride." 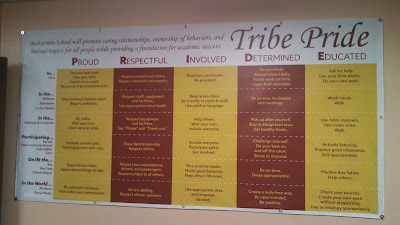 They contacted Banners.com to help them put together a vinyl banner to hang in their school. The banner shows off what pride means in the high school: Proud, Respectful, Involved, Determined, Educated. Thank you for sharing a picture of the final product! We love seeing pictures of our vinyl banners displayed. If you need a banner for your school, visit our school banners page. You can customize a template in our online designer, upload your own artwork files, or have one of our graphic designers create your artwork like we did for Mahnomen High School.